More soap is not better!!! 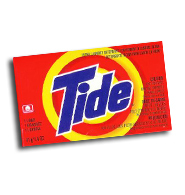 Did you know if you oversudz a washer you can add liquid fabric softener to neutralize the soap, it’s true. Why go through all that soap and fabric softener to solve the problem? The fact is, the active ingredients and enzymes in most soaps only work for up to 9 minutes in wash mode. Even 2 & 3 fresh rinse cycles cannot eliminate excessive soap added at the beginning of the wash cycle. This leaves the customer with extra soap in their garments. Use less soap, clothes still come clean and happy Cunningham customers agree & save! It’s worth the trip! 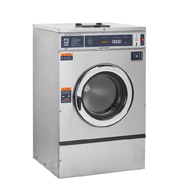 Any Laundromat operator can limit times of wash cycles, especially with modern equipment to help their bottom line! 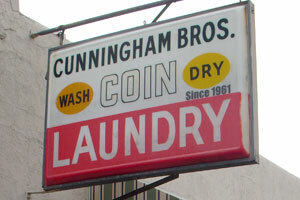 Here @ Cunningham’s, for 50 years, we know clean & value! Our washing machines run from 23-30 minutes, which is absolutely necessary to fully allow the soap to clean your garments. Also, we use 2 & 3 rinse cycles with FRESH CLEAN water, never used water from the cycle, like other Laundromats. 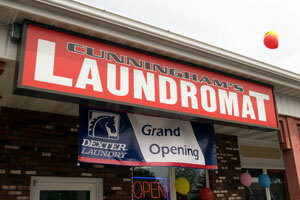 This enables Cunningham customers to have the cleanest possible laundry. Happy customers save money and agree it’s worth the trip! Any Laundromat operator can limit the amount of time or temperature a quarter will get you, to help their bottom line. 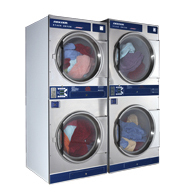 Our Dexter Dryers are the BEST, not because we say so, it is a fact. No other commercial dryer out performs a Dexter Dryer! At Cunningham’s Laundromat, we not only offer more time for your quarter than other Laundromats, we allow our dryers to run at their highest temperature, in excess of 190 degrees. The fill valves are backed with larger supply lines to achieve the fastest fill. Gravity drains have no restrictions and flow into state of the art trough system. It cannot get any faster then that! Fill with freshwater 2-3 min. Fill with freshwater #2 2-3 min. Drain/Extract freshwater rinse 2-4 min. Due to their size smaller machines will typically run longer to rid the water from garments during the extract mode. A larger machine drum size can achieve this faster, due to a higher G-Force during the extract mode. Put it all together and you will get the most value and cleanest clothes you will ever see!